The dun gene is easily the most misunderstood of all the colour genes. Let’s get this out of the way first: buckskin and dun are not the same thing. 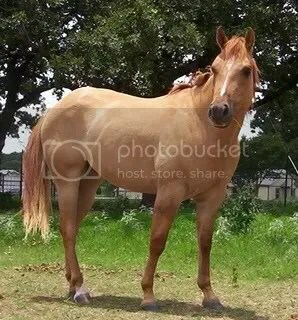 A buckskin with a dorsal stripe does not automatically become a dun; they are two separate genes (though a horse can have both; more on that in a moment) and horses without the dun gene can be linebacked. 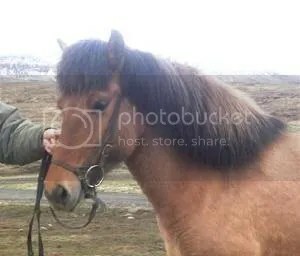 Like cream, dun is dominant: a horse must have a dun parent in order to be dun itself. It’s not thought to manifest differently in its homozygous and heterozygous forms; research is still being done on that. Like champagne, it shows on both red-based and black-based horses. As yet there is no genetic test for dun but you can participate in a current study which is working towards that goal. Dun is considered a “primitive” colour, and many wild and feral horse populations are exclusively or almost all dun: Sorraias, Tarpans, and Przewalski’s horses to name a few. Norwegian Fjords are all dun, though with different base coats. 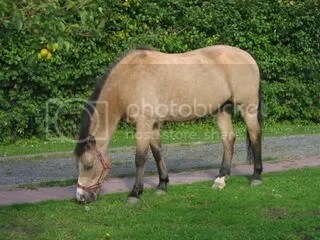 By now you should be noticing that the body colour of dun horses is diluted to a flat or mousy shade. Duns also have a dorsal stripe running from the withers into the tailhead, with some frosting, same colour as the body shade, on either side of the line in the tail. Frosting is often present in the mane as well; see the lovely grulla at the top of this entry. Duns also show leg barring, ear striping/edging, and may exhibit cobwebbing on the head as well. For the best explanation of dun markings, with lots of photos of duns with different base colours, see Dun Central Station. 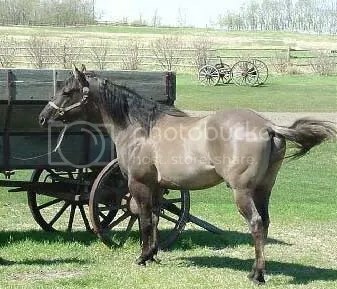 Bay duns are the most likely to be confused with buckskins and vice versa, but the colour differences are quite obvious when you see them together. You can also have brown-based duns, which are darker than the bay-based ones. 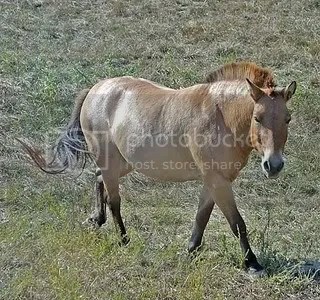 Notice that the grazing New Forest mare above has “normal” black stockings, with no leg barring; she also lacks a dorsal stripe or any mane/tail frosting, and her coat colour is more golden than the bay duns above her. Dun on black is called grulla or grullo (grew-yah or grew-yo); the body colour is diluted to a flat grey, silvery or mousy shade, which allows the other markings to be seen clearly. One reason so many people are confused about dun is that foals are often born with primitive markings, which shed out as they mature. These are a form of camouflage, like the spots on fawns or lion cubs. 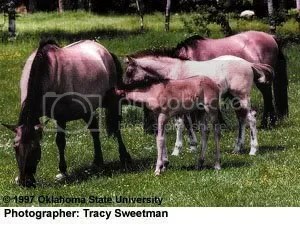 If someone says their foal was born dun but shed out another colour, this is what they’re seeing. Just to add to the fun, dun can be combined with other genes. A dunalino is a red-based horse with the cream and dun genes. A dunskin is a bay horse with the cream and agouti genes. 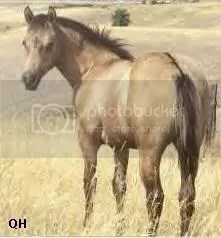 In addition to the breeds already mentioned, dun has been found in Quarter Horses, Paints, Appaloosas, Mustangs; it is rare in Morgans and TWHs; does not exist at all in Thoroughbreds, Standardbreds, Arabs, or Welsh cobs/ponies. if you can help me amend this list, let me know! 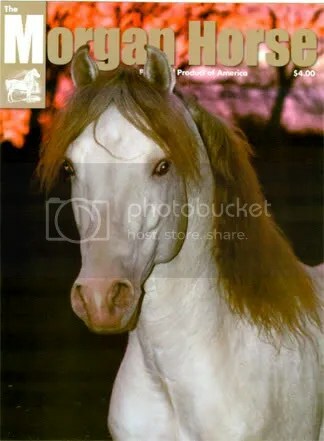 Love all of the horses on this website, very beautiful!!! There is a perlino 2 year old stud colt at the barn I board my horses. The lady that owns him keeps him inside a stall except when she’s working him. She’s terrified he’ll get cancer like an older mare she had. Is this a problem for these lighter skinned horses? I love horses!!!!!!!!!!!!! Great photos!!!!!!!!! Wonderful Horses Photos. i love horses!!!!!!!!!!!!!!!!!!!!!! My favorite horse is Tennesse Walking horses!!!!!!!!!!!!!!! I have 2 horses! 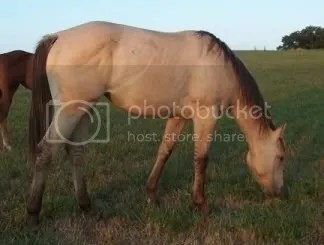 One is a Tennesse Waiker gelding and the other is a spotted Quarter horse and it is a gelding too!!!!!!!!!!!!!!!!!!!!!!!!! I love them! They are so cute!!!!!!!!!!!! 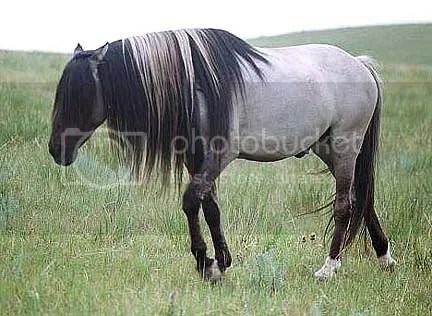 Is it possible to have the aby dun colourings on an Arabian? Don’t forget Connemerras, I have a dun one. The top photo was taken by myself. Please either credit me with a link to my site http://simratkhalsa.com/ or remove the photo. Thank you. He is, indeed, a registered Spanish Mustang owned by my cousin, Aileen Brislawn Glonek. Thanks for the link to Dun Central Station. It’s interesting to find out how genetically, horses get their color.